Deworming cattle is easy, often providing significant economic return for relatively little cost. Deworming cattle effectively and sustainably, though, is more complex than many believe. That has plenty to do with the apparent growing resistance of common internal cattle parasites to dewormers, also called anthelmintics. 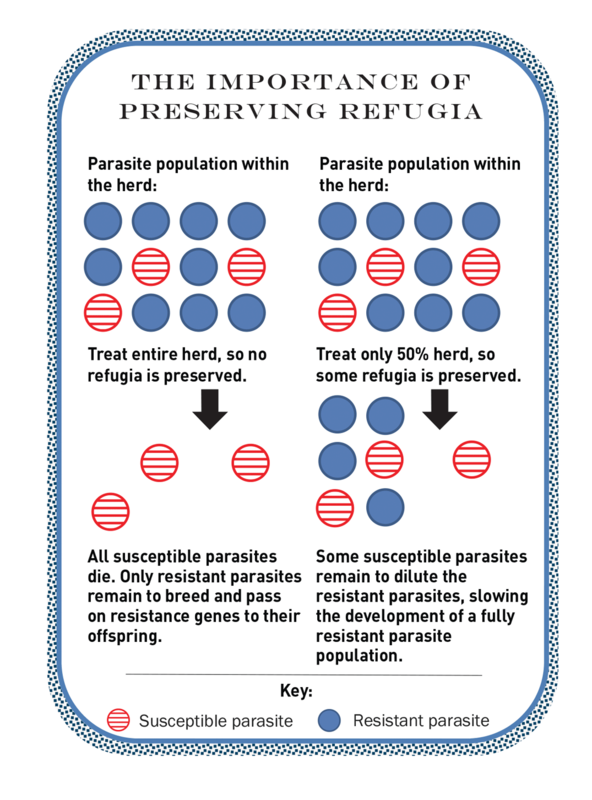 This graphic shows how refugia, or drug-sensitive parasites, can be maintained in a herd. The presence of some drug-sensitive parasites decreases or dilutes the proportion of resistant parasites within the parasite population on a ranch or farm. Graphic courtesy of FDA Center for Veterinary Medicine. Click or tap here to read the full article and related articles at BEEF Magazine.